Neutral, relaxed positions put less strain on the body, reducing the likelihood of problems like sore wrists, neck ache, and back ache. 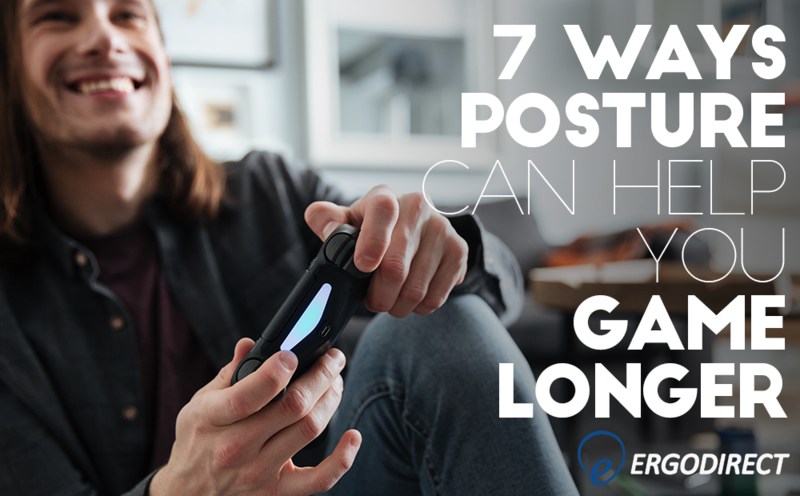 Follow our guidelines below to adjust your PC gaming setup for better posture. Find seat height – The distance from the floor to just below your kneecap is your ideal seat height. Feet flat on the floor – While sitting, your feet should rest flat on the floor, knees bent at a 90 degree angle, hips above knees, feet shoulder-width apart. Put your feet on a box or footrest if your chair is too high to allow them to rest flat on the floor. Chair back at 100-135 degree angle – Your lower back should rest against chair backrest, while you open your shoulders, and refrain from leaning forward. 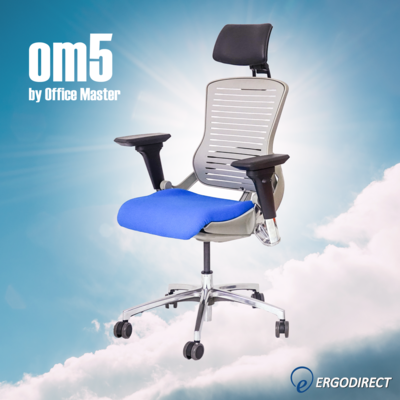 Some ergonomic gaming chairs like the OM5 have headrests, and offer continuous lumbar support to help you relax into a better posture. 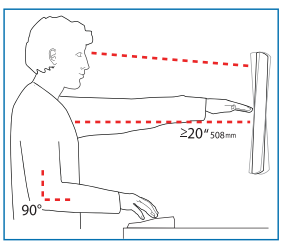 Find monitor height(s) – Measure the distance from the floor to your eyes. Position your monitor so that your eyes rest on the top 1/3 of the screen. 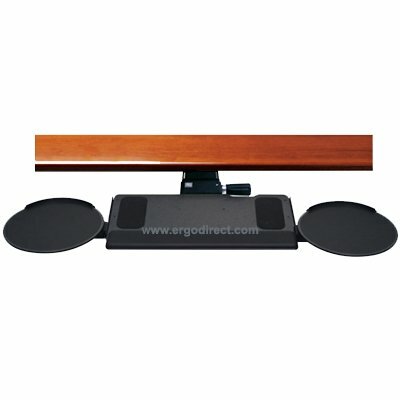 Stacking books under your monitor, or attaching it to a stand or an arm are easy height solutions. 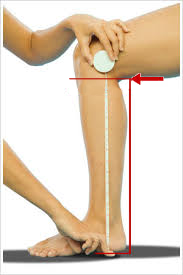 Re-measure if you switch to a standing position. Monitor one arm’s length away – In general, the center of your screen should be one arm’s length away from you. If you are nearsighted or farsighted you may need to readjust. We recommend placing your monitor closer at first and moving it back as needed. Find keyboard height – The distance from the floor to your palm while typing is the ideal height for your keyboard. Re-measure if you switch to a standing position. Elbows at a 90 degree angle – When typing, your elbows should rest close to your body at a 90-100 degree angle, almost like your hands are resting on your lap. 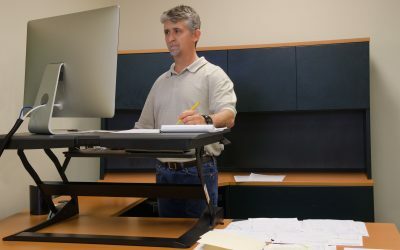 Adjustable keyboard trays can help keep your elbows in this neutral position (and they free up desk space as well!). Keep in mind you should be switching positions often to increase circulation and keep blood flowing well. This will also help keep your reactions fast in game. 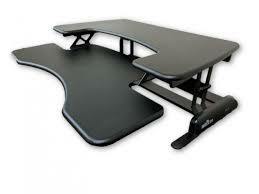 For more information or to learn about our ergonomic gaming products, please contact us. Is the New Japanese Gaming Chair Really Ergonomic? I do the same thing, especially during a tense PUBG or Overwatch match. You’ve got to train yourself to play with your back against your chair. Also, you may consider getting a larger or curved monitor. You may be leaning in to create a more immersive experience for yourself. If you go big, you’re less likely to need to lean in.